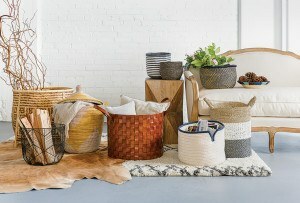 These dream weavers' handwoven textiles combine island simplicity with luxurious materials. By Mallory Abreu·	 5/24/2016, 5:14 a.m. Along the weathered cobblestones of Nantucket’s Main Street lies a small brick shop shaded by tall trees. 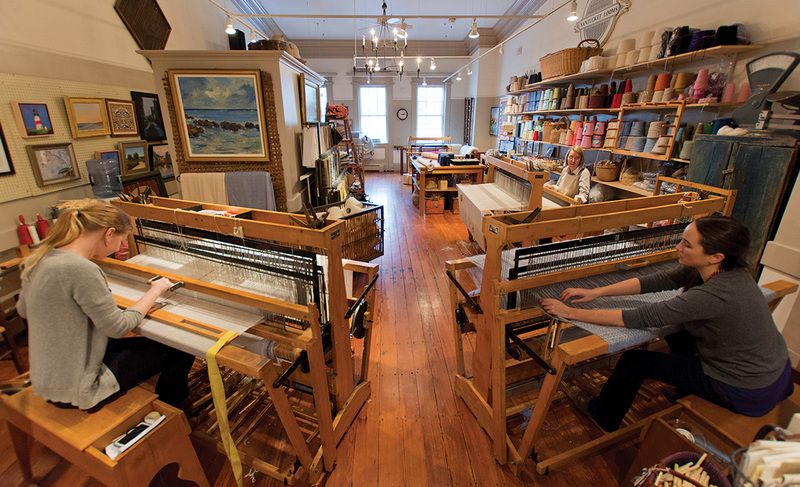 On the second floor, several weavers patiently thread the heddles of their Maine-made Macomber wooden looms, some of which are older than the craftspeople themselves. The floorboards of the studio creak to their rhythmic work, as shuttles skate across the wefts like salt on the wind. 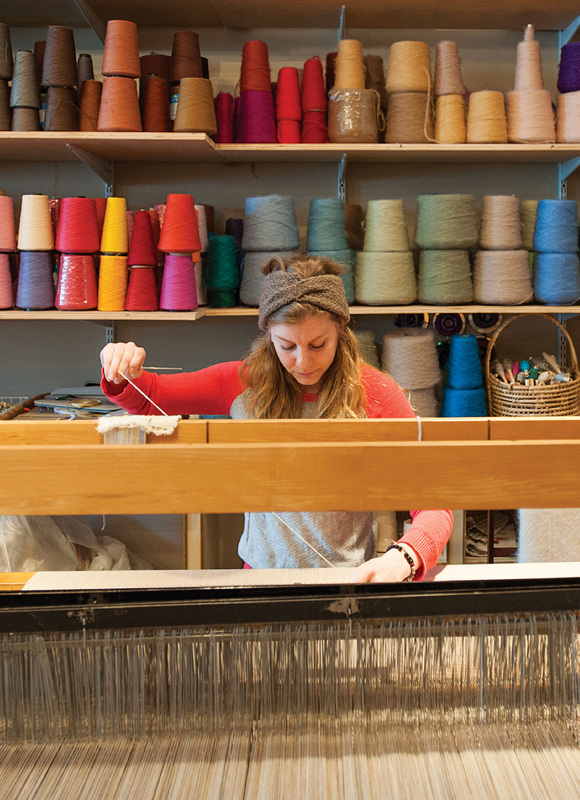 Nantucket Looms has run its tiny manufacturing operation since 1968, while the neighborhood around it has transformed from fishermen’s shacks to high-end real estate. Nantucket Looms’ founders, Bill Euler and Andy Oates, met while working at the Woodbox Inn in the late ’50s. Euler was a businessman, and Oates had trained as a weaver at Black Mountain College under iconic textile artist Anni Albers. 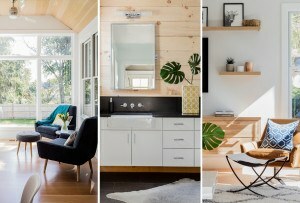 Together, Euler and Oates adopted the “cottage style” aesthetic: a mix of folksy antiques and contemporary furnishings, with a focus on comfort. 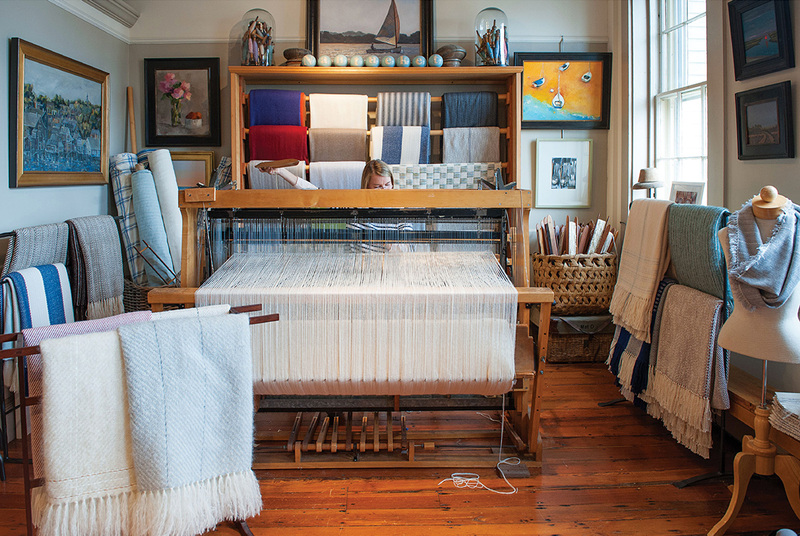 When the Nantucket Historical Trust in 1961 opened the Cloth Company, where needlepoint, crewelwork, weaving instruction, and handwoven fabrics were offered, Oates and Euler were installed to run it. On April 1, 1968, the pair took ownership of the company, reopening it as Nantucket Looms. At the same time, interest in the island’s crafts movement swelled, and Euler and Oates nourished the local community by selling local works out of the ground-floor retail space; today, Nantucket Looms features pottery, soaps, candles, and clothing from more than 70 local artists. 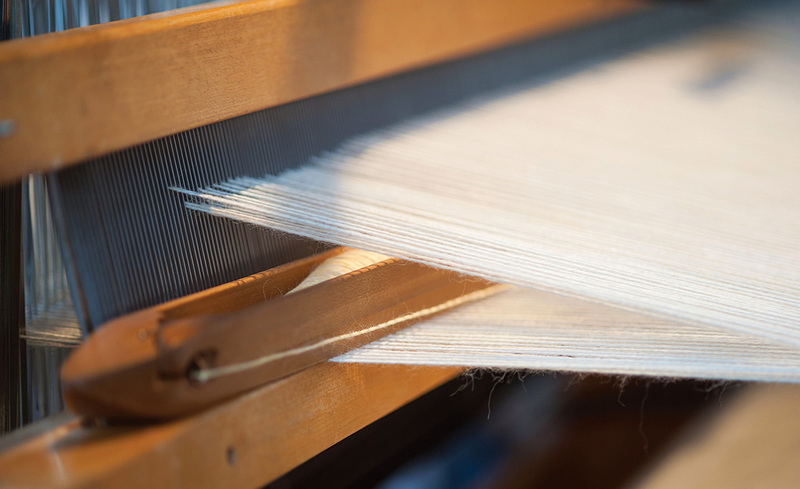 To encourage a new generation of weavers, Oates and Euler welcomed apprentices, one of whom was Rhode Island School of Design student Rebecca Peraner. 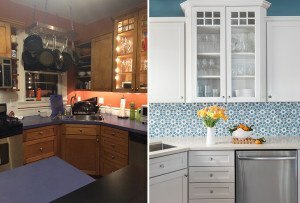 She had vacationed on Nantucket each summer with her family, and knew she wanted to live there someday; in college, she drew inspiration from the island’s landscapes, architecture, and colors to create patterns of her own. 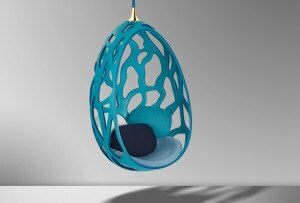 Like Oates, she thought of weaving as an art form, not simply a production method, and she returned to the company after graduating in 1995. 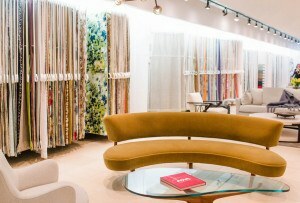 Oates and Euler retired in 1993, and Peraner took over as creative director and head weaver of Nantucket Looms in 2001. 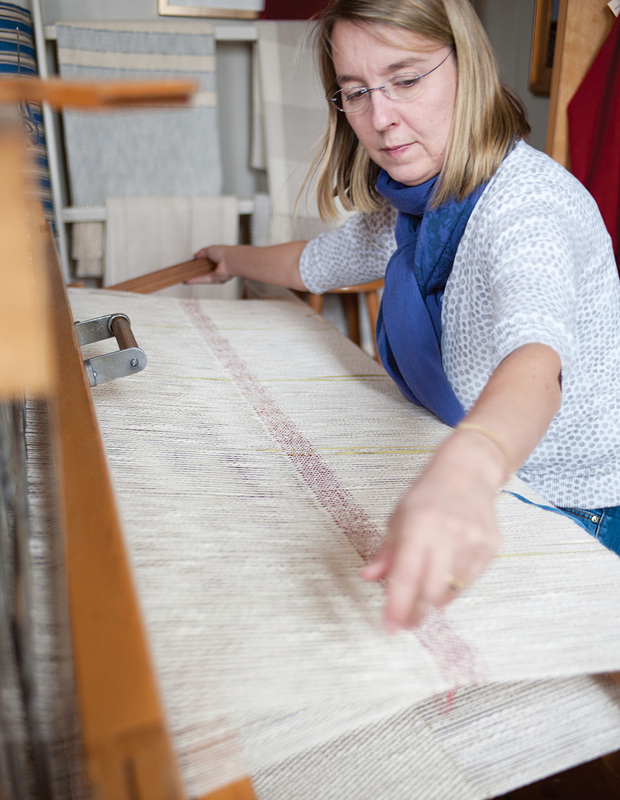 Peraner continues to take on apprentices and seasoned weavers who share her passion for the details that distinguish handwoven textiles from machine-made goods. 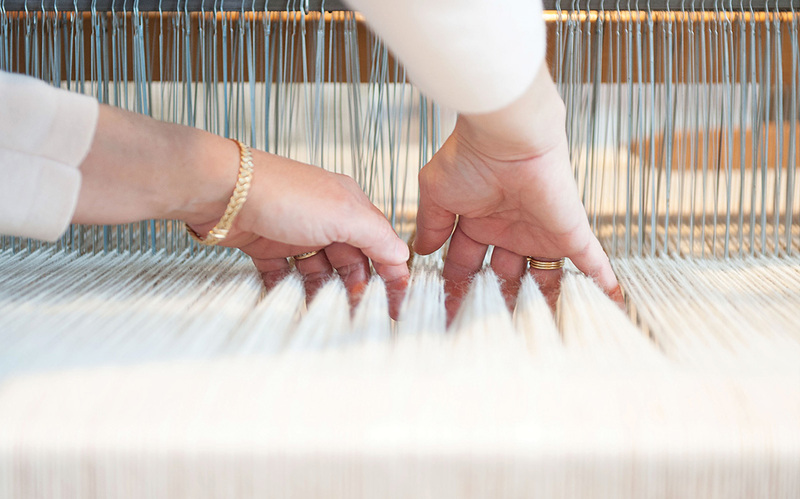 Peraner believes quality fibers are crucial to creating high-end products. The mohair in Nantucket Looms’ popular blanket is sourced from South Africa, where the climate is optimal for Angora goats’ hair growth. 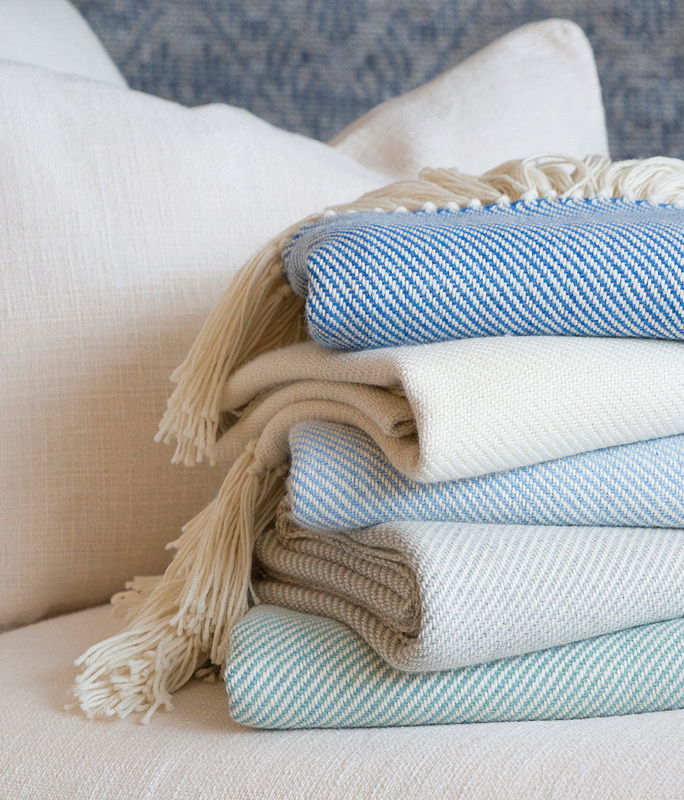 The cotton throw, Peraner’s personal favorite, is made from durable cotton-flake yarn from North Carolina. Nantucket Looms’ alpaca fibers, naturally hypoallergenic and buttery to the touch, come from Peru. Cashmere is sourced from Southeast Asia, and silk is imported from Japan.